8 Jan 2018 Washington, D.C.
Sen. Jeff Flake (R-AZ) admitted on the Senate floor Monday that the Republican establishment does, in fact, have a different set of immigration priorities that are far from President Trump’s popular, pro-American immigration agenda. In a statement on the Senate floor, Flake said that Trump “won’t get everything” he wants in a deal between Trump, the Republican establishment, and Democrats with respect to DACA, whereby nearly 800,000 to 3.5 million illegal aliens shielded from deportation by the President Obama-created Deferred Action for Childhood Arrivals (DACA) program are given amnesty and possibly a pathway to U.S. citizenship. Flake’s hinting that Trump’s pro-American immigration demands are “unrealistic expectations”is straight out of Senate Minority Leader Chuck Schumer’s (D-NY) talking points against Trump’s agenda. In a post on Twitter, Flake reiterated that the Republican establishment is not by any means on the side of Trump when it comes to negotiating with Democrats on the DACA issue. Flake, who has been a longtime advocate for a never-ending flow of cheap, foreign labor to the U.S., was brought into DACA discussions with Trump by Vice President Mike Pence, an ally of the pro-mass immigration and GOP mega-donors, the Koch brothers. In exchange for a DACA amnesty — against the will of his base of supporters — Trump has said since October 2017 that any deal would have to include three pro-American immigration reforms: An end to chain migration, an end to the Diversity Visa Lottery, and funding for his proposed wall along the U.S.-Mexico border. By ending chain migration, whereby newly naturalized citizens can bring an unlimited number of foreign relatives to the U.S., Trump would be cutting legal immigration levels in half to raise the wages of American workers and reduce the enormous competition in the blue-collar workforce to shore up more jobs for Americans. Chain migration, as Breitbart News reported, has imported more than nine million foreign nationals to the U.S. in the last decade, exceeding two years of American births. Likewise, an end to the Diversity Visa Lottery, whereby the federal government gives out 50,000 visas randomly to foreign nationals around the world every year, would reduce the national security risk that immigration often poses. The Visa Lottery has imported nearly 30,000 foreign nationals from terrorist-funding countries since 2007, as Breitbart News reported. Both ending chain migration and the Visa Lottery program is incredibly popular among likely voters. 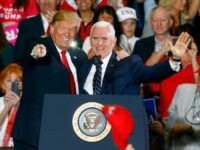 New polls from Pulse Opinion Research found that 60 percent wanted to eliminate the Visa Lottery and nearly 60 percent wanted an end to chain migration included in any DACA amnesty deal in order to prevent a chain migration flow of potentially 9.9 to 19 million foreign nationals. Flake’s statements, though, reveal that not only is the Republican establishment negotiating against Trump’s popular immigration agenda, but they are unwilling to even fully fund the southern border wall the president promised voters would be constructed. Nobody’s suggesting that we don’t need additional infrastructure or barriers on the border. The question is how much do we provide for in this legislation? The president has made a request in the budget for about $1.6 billion for the coming year. I think that totals about 74 miles of fence between Texas and California. I think that that’s a good place to start. How much we authorize going forward will be very much in debate. I know that during the campaign, the president talked long and hard about building a wall. But every time he mentioned building a wall, he talked about Mexico paying for it. We all know, many of us knew at the time Mexico was not going to pay for that wall. They’re not. That’s why the president is asking for $18 billion of U.S. taxpayer money to fund that wall. So to suggest that the president hasn’t changed his position and that we’re dealing with a proposal that we’ve known is coming from the White House simply isn’t true. It has changed. The president initially said Mexico would pay for it. It’s not the case. It’s the U.S. taxpayer that’s going to pay for any infrastructure on the border. 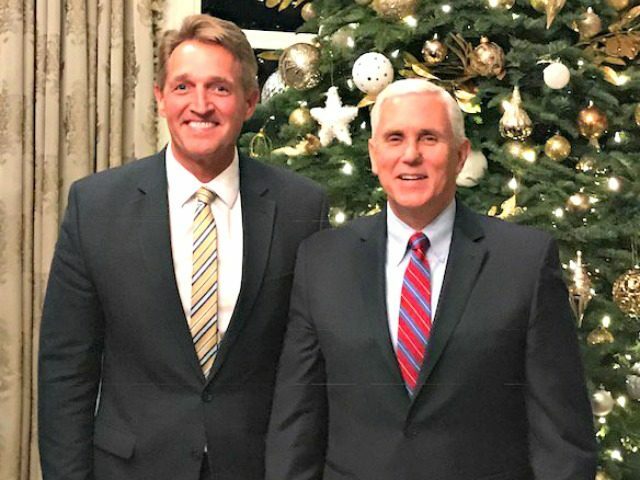 Flake’s role in the DACA discussions with the White House was increased when Vice President Pence invited him and other pro-amnesty Senators to meet with Trump in order to lobby the administration to cave to the big business lobby, which wants an expansive amnesty in which DACA illegal aliens are given work permits so that wages can be kept stagnant, rather than rising for Americans. Also, White House Legislative Director Marc Short has taken a prominent role in DACA discussions, another ally of Pence. 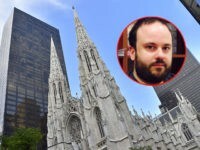 As Breitbart News reported, Short has a long history of opposing Trump’s “America First” immigration agenda, working alongside the Koch brothers and Pence before taking a job in the administration. In May 2016, during the height of the Republican presidential primary, when Trump was taking the country by storm on his populist-nationalist immigration agenda, Short was heading an effort to derail the then-front-runner inside the Koch-funded Freedom Partners group. On a frigid Tuesday in February, a team of top political operatives from the Freedom Partners Chamber of Commerce, the umbrella group that controls political activities for the sprawling donor network led by billionaire industrialists Charles and David Koch, arrived in Kansas for a meeting that they hoped would turn the tide of the presidential campaign. They’d set aside $150 million to spend on paid media alone, to be spread across campaigns at the federal, state, and local levels. Yet they had not been authorized to spend a dime on the White House race. Marc Short, then president of Freedom Partners, wanted to change that. He led a faction inside the Koch network that had become convinced of the need to neutralize Donald Trump before his momentum made him unstoppable. Fresh off Trump’s landslide victory in New Hampshire one week earlier, and staring down another likely Trump win in South Carolina that Saturday, Short and his lieutenants had come to Wichita to present Charles Koch with a detailed, eight-figure blueprint for derailing the Republican front-runner on Super Tuesday, when eleven states would vote. They hoped to get the green light to hammer Trump with ads in the states where he was most vulnerable. Just a week after Short’s efforts to lead a full-fledged Koch-funded operation against Trump, he signed onto the Rubio campaign. Like the big business lobby being represented by Flake and other members of the Republican establishment, Democrats have represented the open borders lobby in White House discussions regarding a DACA amnesty. Under a DACA amnesty, American taxpayers would be left with a $26 billion bill. 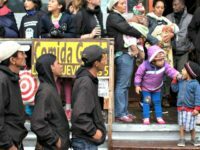 About one in five DACA illegal aliens, after an amnesty, would end up on food stamps, while at least one in seven would go on Medicaid. 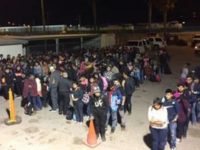 Since DACA’s inception under Obama, more than 2,100 illegal aliens have been kicked off the program after it was revealed that they were either criminals or gang members.